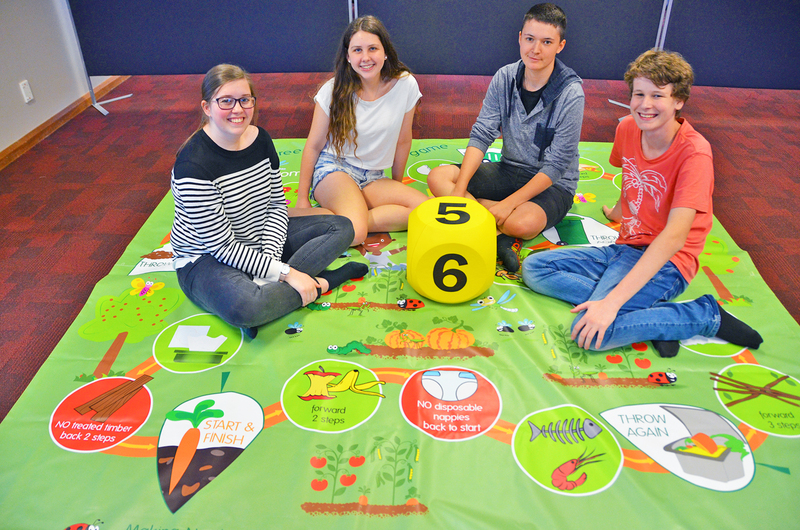 My high school tafe students have created an over-sized board game to help Lismore City Council teach kids about the organics composting system at public events. The aim of the game is to reinforce what can and cannot go into the organics bin. The game will be used at local markets, shows, expos, shopping centres and community days. The students jumped at the chance to take on the design challenge and were focused and receptive throughout the eight-week project. It was a real life scenario project and it was exciting to see the finished product and how it is going to be used in the community. They each had to design the graphics and also make changes when something wasn’t working. Well done! !